The tallest roller coaster in the world is coming to Florida. Consider yourself warned. Part of Orlando’s Skyplex entertainment complex, the record-breaking "Skyscraper” starts indoors before going outside and climbing 570ft up a giant tower. From the top, riders are hurled back down through a series of corkscrew twists, near-vertical drops, and upside-down turns at speeds reaching... 65mph!! 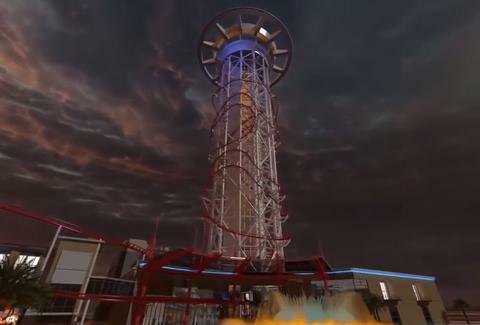 "Skyscraper will not only take riders higher than ever before, but also introduce one thrill right after the next”, Michael Kitchen, president of US Thrill Rides, told the Orlando Sentinel. “There's no 'down time' on this four-minute coaster experience”.